If you have a company WiFi connection that your employees can access, you can use it to recognize when they are on location so they can clock in for their shifts. All you need to do it set the IP address. Go to Dashboard > Locations and click the location name in the list to open the details. 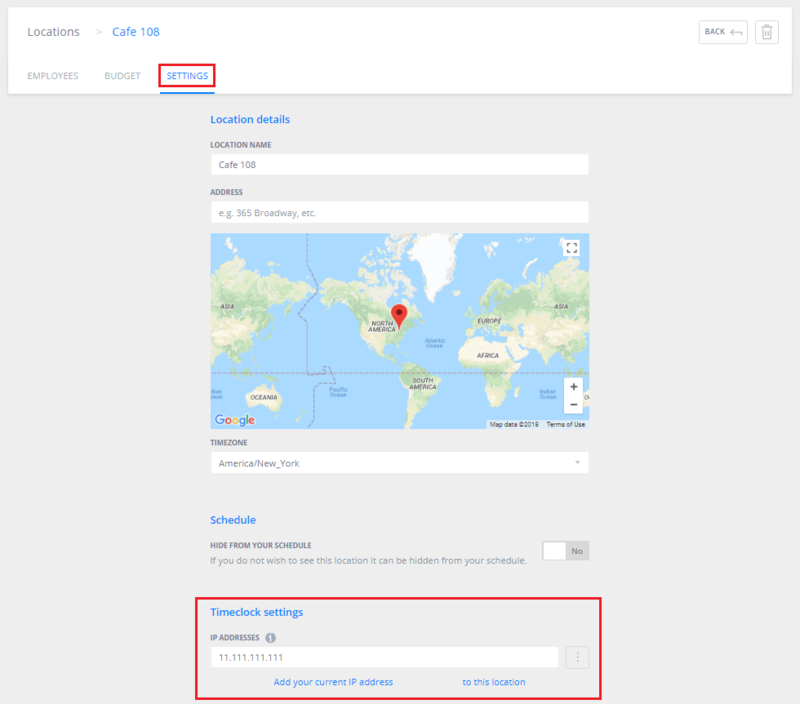 Next, click the Settings tab and you will see the option to enter your IP address manually, or the option to add your current connection by clicking the link under the IP address field (IP address has been removed from the link in this image for privacy). Once you click Save, Sling will recognize when your employees are on location because they are in range to connect to the WiFi. It's also possible to set multiple IP addresses for your location. Just click the options button (3 dots) and you will see Add IP address as well as the option to remove one.